For the first time in its history, the Vale Resort in Hensol has been crowned as both Wales’ best golf hotel and best resort spa by an international awards body that recognises excellence in tourism. 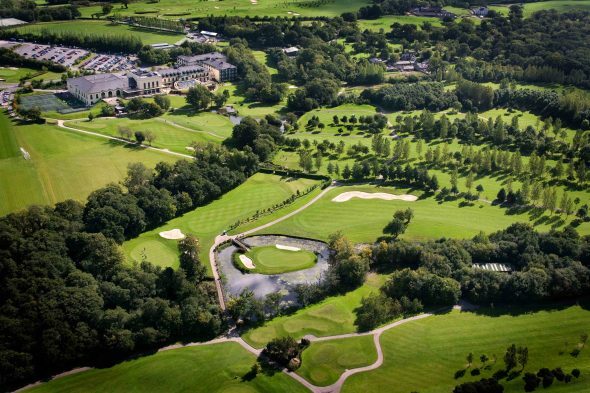 The four star hotel and leisure venue, in the Vale of Glamorgan, was named Wales’ Best Golf Hotel 2017 at the 4th annual World Golf Awards, held at La Manga Club, Spain. The Vale Spa at The Vale Resort was then named Wales’ Best Resort Spa 2017 at the 3rd annual World Spa Awards, held at the JW Marriott Phu Quoc Emerald Bay, Vietnam. Both ceremonies are organised by the World Travel Awards, which describes itself as “the ultimate hallmark of industry excellence”. The organisation holds various awards ceremonies to reward the best travel and leisure organisations in the world, which have been described by the Wall Street Journal as the ‘Oscars of the travel industry’. The Vale Resort beat Bryn Meadows Golf Hotel & Spa and the Celtic Manor Resort to be named Wales’ Best Golf Hotel 2017, and the Vale Spa triumphed over the Forum Spa at Celtic Manor and the Spa at Corran Resort as Wales’ Best Resort Spa 2017. The World Travel Awards previously recognised the Vale Resort as Wales’ Leading Golf Resort in 2004 and 2007 and the Vale Spa as Wales’ Leading Spa Resort in 2006 and 2015. Stephanie Metson, marketing manager at the Vale Resort, said: “The World Travel Awards is a prestigious global brand that is recognised as a benchmark of quality and excellence in the travel and tourism industry. “Likewise we know our Vale Spa, which is Wales’ largest spa, offers a unique and luxurious experience for customers that sets us apart from the competition.